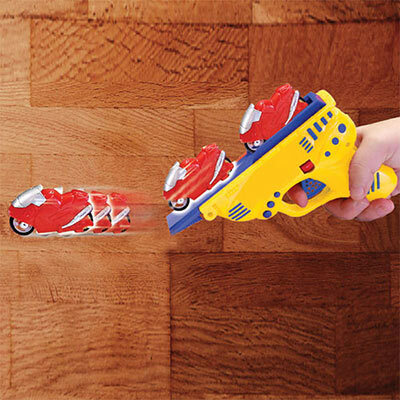 Friction power launches these revved-up racers for hours of fun! Includes two mini-cycles and one trigger-activated launcher. Ages 4 and up. Launcher: 5½ "l. Cycles: 2½ "l. 3-piece set.